This is the first, and most important, part of the job. Your Electrical Contractor must ensure he/she fully understands exactly what the client wants. So when you say “I want a power-point on this wall”, they must establish the exact position. This is done by asking what you will use it for, the equipment/appliance that you want to use etc. All this is done to ensure you get the best result from the job. The other critical component about the job is the Legislative Requirements. 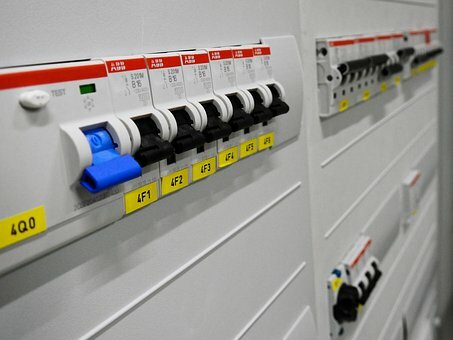 Your contractor must ensure the installation is done in line with the Electrical Regulations. Again, they need to explain this to the client where the Regulations may not permit a specific position etc. The key to it all is that the client is satisfied with the proposed installation prior to the work starting. This is as important as the first part. Your Electrical Contractor needs to discuss with you the scheduling of the work and then stick to it! This seems to be where it often goes wrong. It is vital that your contractor has a good job management system in place that will avoid over-booking or even ‘forgetting’ an appointment. Managing the job is not just about scheduling. Safety and quality should always be at the top of the list throughout the entire job. Using good systems will allow your contractor to track every step of the job efficiently, giving you the reassurance of a well executed job. As a client, you don’t want to constantly wonder whether your contractor will be on site today. They need to inform you of their schedule, follow up and confirm these appointments in advance and deliver the job on time. From providing an estimate to delivering the finished job, we take pride in what we do. With an absolute passion for the electrical trade, outstanding customer service and a need for quality, you will be amazed at how smooth the job runs. Using state of the art software, we are able to manage the entire process from the first contact to the hand-over of the completed work smoothly and efficiently.